Verizon Wireless just unveiled a new business tool that lets company employees stay connected with their office even when they are away from it. Introducing Verizon's Mobile Unified Communications Client (or Mobile UC for short) – the service that enables business subscribers to use their Android powered smartphone as if it was their office phone. In a nutshell, with Mobile UC set up on their smartphone, employees can place calls and answer them from their work number, and the work number is what the other party is going to see as caller ID. Besides, company services such as voicemail, call hold, transfer and conference calls are fully accessible through Mobile UC. No additional hardware is required if a business decides to implement Mobile UC within its telephone system. All that is required is for the employee's Android smartphone to be configured by the company's IT department, which will be provided with the necessary software tools. In addition, a $7 fee per user is required on a monthly basis. Currently, the only smartphones that are compatible with Mobile UC are the Motorola DROID X, DROID X2, DROID 2, DROID 2 GLOBAL and DROID PRO, but additional devices, including ones made by other manufacturers, are expected to follow. For more details, feel free to check out the full press release below. SAN DIEGO and BASKING RIDGE, NJ — As the workforce becomes increasingly mobile, enterprises are compelled to expend precious time, money and IT resources to manage employees’ mobile connectivity while away from the office. Today from CTIA Enterprise and Applications™ 2011 (booth #117), Verizon Wireless introduces a breakthrough business tool, Mobile Unified Communications Client (Mobile UC), which combines the processing power of Android™ smartphones and the nation’s most reliable wireless network with existing enterprise telephone systems to support employee mobility while maintaining corporate security and control. Using the Mobile UC Client, an employee’s personal mobile number and business landline number are both instantly accessible from a user’s smartphone. Mobile employees can place calls and answer them from their work number even when away from the office. Calls initiated from the mobile phone’s business identity are routed through the existing corporate IP PBX system and display the employee’s business number to callers. The business identity mode allows companies to leverage the benefits of their PBX system by routing mobile calls through the existing IP PBX system to maximize Least Cost Routing for savings on international and intra-company calls, while also maintaining business credibility to customers and prospects who see the business number in their caller ID. Employees can access voicemail and other frequently used desk phone features, such as call hold, transfer and conference capabilities, from their smartphones, which helps increase producti vity and support the mobile office experience. To maximize the full experience of the Mobile UC Client, Verizon Wireless developed the enterprise-class Mobile UC Docking Station (sold as a complementary accessory) to connect Android smartphones to a business’ Ethernet. Similar to a traditional office phone with standard functions, such as enterprise directory access, “do not disturb,” speakerphone and voicemail, the docking station leverages Android smartphones to power the office phone experience. When the mobile phone is docked, it doesn’t use wireless minutes for calls. The accessory requires minimal IT services to deploy and manage, while the cost is significantly less than traditional IP desk phones. Deployment for the Mobile UC Client is easy and does not require any additional hardware purchases. The enterprise’s IT department is provided with a configuration tool that allows them to establish profiles for end users specific to their PBX identities. The Mobile UC Client is deployed by download from V CAST Apps store. All existing parameters for smartphone usage, existing PBX calling restrictions and policies, and security settings are maintained with the client. Verizon Wireless’ Mobile UC Client is compatible with leading IP PBX manufacturers, including Cisco Unified Communications Manager 6.1.4 and above and Avaya Communication Manager 5.2 and above. 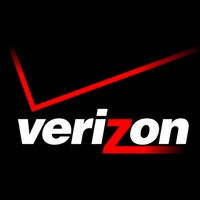 Verizon Wireless’ Mobile UC Client currently supports the following Android smartphones by Motorola: DROID X, DROID X2, DROID™ 2, DROID 2 GLOBAL and DROID PRO, with other devices and manufacturers to follow. The Mobile UC Client is available for a $7 monthly fee per user. The docking station is available for a one-time purchase price of $125 per station. I like... although currently just forwarding my office number to my Google Voice number has been doing that for me... this seems better though.